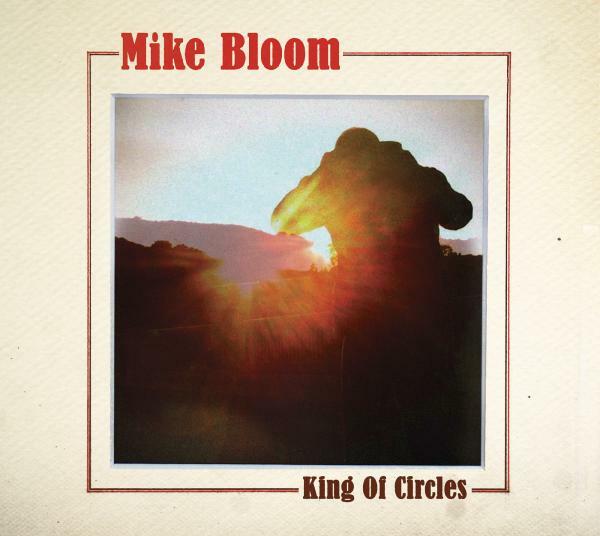 After years of playing with other artists like Rilo Kiley, Jenny Lewis, Rachael Yamagata and others, Mike Bloom has finally gotten around to releasing his own album. "King of Circles" was released in June on Little Record Company, the label founded by Pierre de Reeder of Rilo Kiley. But the album was originally funded by friend and fan Toby Maguire. Returning the favor, Bloom's friends show up on "King of Circles," including Jenny Lewis of Rilo Kiley and longtime friend and bandmate Blake Sennett, of Rilo Kiley and The Elected, which also recently released a new album, "Bury Me in My Rings." Bloom, co-founder of The Elected, will perform songs from "King of Circles" as well as play with The Elected Saturday, July 2, at Schubas, 3159 N. Southport, Chicago. Tristen also is on the bill. The show starts at 9 p.m. and tickets are $13, $15 at the door, available at www.schubas.com. I had the chance to talk to Bloom, www.myspace.com/mikebloom, about his latest activities in an e-mail interview. Q - Of course, The Elected also has a new album out. Is it just a funny coincidence that you have a new album out at the same time? Mostly I'd say it's a coincidence. I'm open to the idea, though, that friends sort of tend to drive each other forward with whatever they're doing, especially the talented ones. Of course, we were both aware that these two records we coming to a head, but it wasn't like we were consciously trying to put them up against one another in any way. Hopefully, they both stand on their own. Q - You've been busy the past few years playing with different bands. Was the time just right to release your own album? I'd been working on these songs on and off whenever I had the time, which meant whenever I wasn't on tour or producing/mixing a record of someone else's from home. Part of me feels like the time was right quite a while ago to be honest, but then it's hard to argue with the chips falling wherever they do. This is the time when things most seemed to fall into place for an official release. Q - What goals did you have for the album? Did you intentionally try to do something that was different than the work you've done with different bands? I'd like to say I had an extremely pinpointed vision for what the overall feel would be but, the truth is, these are songs that came out of a larger batch of material I'd been honing for a while, and they seemed to work together best. Having said that, I do thrive on dipping my toes into disparate waters, if the opportunities present themselves. So, I suppose it is my general intention to have every record or project I work on, if I have any say in the matter, to be conveying something different, either sonically, or emotionally or whatever. Hopefully, when all is said and done, there will be some subtly discernible thru line to it all. Q - You worked out the songs while you were on tour. How does it feel to be out on tour performing the completed songs? That's a good question. It feels like a relief and a little scary at the same time. I'm enjoying attempting to build connections between these songs and actual people. On this tour, I'm mostly performing alone (outside of The Elected sets every night). This can be nerve wracking but can also be freeing. The songs don't necessarily hit you over the head with sound. I think the goal is to be as connected to the songs as possible, and hope that people respond to that on some instinctive level. Q - I understand that Jenny Lewis was able to come up with the lyrics to "Butcher Paper" in short order. What do you think of the lyrics and her contributions to the song? I think her writing abilities are pretty well documented at this point. The words to the song are pretty much undeniably good and the song wouldn't have made it off the shelf without her to be honest. To that point, it was Blake Sennett who brought my guitar part to her, so I owe him credit as well. Q - What was it like working with Blake Sennett on the album? Was he the person that you had in mind to sing on "Til It's Over?" Oh, good segue. Well Blake's a long time friend and musical partner of mine. However, I suppose the dynamic was a little bit different with him helping me for my record, rather than all the time we'd spent in the past working on Elected stuff. Blake had helped me finish off the song, and sort of tighten up the arrangement and a few of the words, so it only seemed natural that he would sing the harmonies for the song. Also, he's got sweet dulcet pipes in that range. Q - Blake had stepped away from the music business for a while. Were you surprised that he wanted to get The Elected back together? In short, not really. Sometimes it's easier to see someone else's situation from the outside. Also, I just know that music is way too much a part of who he is for it to be given up completely. As for The Elected, we put a lot of energy in the past into building it up, and it would have been sad in a way to not at least try to continue it and see where it would go. I had a pretty strong feeling it wasn't over. Q - Is it hard touring on both your solo album and The Elected's new album? How do you juggle the two? I thought it might be a bit overwhelming to do two sets a night on this tour, so I talked it over with Blake and we basically picked certain nights of the tour for me to open. Those are the nights I usually don't have time to eat dinner. I had to relearn a lot of these Elected songs for different instruments (I find myself playing bass on most of these, which I've never done live before), and the whole undertaking seemed like a bit much. Q - How did you befriend Toby Maguire? Do you share musical tastes with him? I've known him for a long time. He's friends with my older brother, who lived out west long before I did. He's always been a good and supportive guy to me, and to my music. I guess, early on, he would seduce a young lady here or there to my demos. I was flattered and horrified. These days, I would fully embrace that sort of thing. Our tastes do crossover, but like a Venn diagram of west versus east coast influences, I imagine we have some significant sections that don't touch. Q - Do you see Rilo Kiley ever getting back together? Should the band get back together? Well, anything's possible. I don't see it in the near future but, then again, I didn't necessarily predict that the singularity between man and machine were as close as they are. The members of New Orleans band Papa Grows Funk choose not to follow a playlist, making every show feel like a jam session. That only makes sense, since they came together for the pure love of wanting to play together. Their music has carried the day, as Papa Grows Funk has been able to sell 30,000 combined copies of their first four copies without the help of a record label or distribution deal. It was only a matter of time before their music caught the ear of New Orleans music legend Allen Toussaint, who is working with them on their latest album. Papa Grows Funk, www.papagrowsfunk.com, will perform July 8 at Martyrs,' 3855 N. Lincoln, Chicago. Whysowhite also is on the bill. The show starts at 9:30 p.m. and tickets are $12, available at www.martyrslive.com. I had the chance to talk to bandleader John "Papa" Gros about the band and its current activities. Q - You guys started out as a jam session at Old Point Bar on Algiers Point, as I understand. That was like 11 years ago. For all of us, we were blowing off steam because we all had other gigs we were doing. This was like the non-gig, no responsibilities, no money, just show up and make something happen. And people started showing up, which was just wild, and we started getting notice nationwide and internationally. Within a year, we decided to put together a CD, because we had a few little grooves that we were working on. The CD kind of took on a life of its own and then about two to three years later we had a second CD and then we all decided to take it real serious. Q - So was there some magic there? Did things start to jell right away? When we played the first song, granted the first few bars of the song were pretty rough as far as what notes to play and the right rhythms and where we were going with it, but somewhere in the middle of the song we started communicating musically, improving, hitting solos, breaking it down. We were just kind of doing it off the cuff for fun. Boy, that was magic immediately. Q - And was that unexpected that you would jell so well together? It was my idea to call the guys, and I thought these guys would play well together. I thought it should be good. We all came from incredible bands that had really good credentials. Our saxophone player was playing with Galactic, myself and the drummer were playing with George Porter Jr., June Yamagish, our guitarist, is pretty known in Japan and was playing with the Wild Magnolias. We all had our own gigs, and we were doing pretty well with those. So to think that we would be something different and that it would click in a special way, different than those great bands, I never thought that would happen. It really happened that first night. Q - I also find it pretty incredible that you guys have sold 30,000 copies of your CDs with no distribution or a record label. It's just been word-of-mouth, hard work and persistence. Q - You guys are working on your fifth CD. What should people expect from that? It's going to be very different. We have Allen Toussaint and Tom Drummond of Better Than Ezra sharing in the producer credits on this one. This is the first time where we are going to have somebody else's opinion of the band presented. So that's going to make it neat right there. The other thing is that with the songwriting for this album, we did a lot of collaborating, whereas before, individuals in the band would bring in songs and we would just kind of work up some arrangements. So the songwriting I think has improved through the hard work of collaboration. And I think that will make a difference. Q - How did you hook up with Allen Toussaint? There were a couple of phone calls and a lot of e-mails. He's such a legend. Pretty much anything I have done throughout my career I've learned from studying everything that he's done. Q - Had he heard the band before? He had only heard of us. I don't think he had heard the band playing together at all, at a gig or anything. He liked us, and we really clicked well in the studio. And I tell you what, it really changed all of our musical lives, as far as learning the things that he does and getting a little bit of what he brings to the table. Q - I'm sure you've heard your music described in many different ways. How would you describe your music? I would simply say it's New Orleans funk music. That's a wide open description, but it's very specific to me in that it represents everything that New Orleans music is, all the way back to the days of Jelly Roll Morton and Louis Armstrong. It's a deep responsibility that we carry, and we try to uphold. 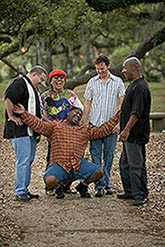 Q - Would you say that a show like "Treme" is helping bring back the spotlight to New Orleans and its music? What "Treme" does is to put a spotlight on our culture. The culture had been going through hard times. Q - So how is New Orleans doing these days? I would say we are on an upslope. We had been on a downslope for such a long time. Last year was the first year since Katrina that I felt we had some positive motion and were turning the corner, and then we had this oil spill that happened in the Gulf thanks to BP. It was another year of negativity just trying to keep us down. We are just waiting it out, and the people here are ready to go. The party's here. Q - And do you think the music scene has rebounded? The music scene is at such a high level. There is so much competition for a neighborhood gig, where 10 to 15 years, anybody could find a gig. The caliber of musicianship is at such a high level these days that you have to be so good and have an audience to be able to get yourself a local Wednesday night gig. It's amazing. Q - You guys don't use a playlist. We just kind of make it up as we go. It's kind of like a quarterback making audibles on a football field. We score touchdowns. Sometimes we get thrown for a 20-yard loss. But that's live music and that's the risk you take and that's what makes it different every single night. In 2000, four female singer-songwriters from San Francisco decided to get together to play. They didn't have any goals other than to have fun playing together. But they came together to form a group, Blame Sally, www.blamesally.com, which continues to gain more listeners with the recent release of its sixth album, "Speeding Ticket and a Valentine." The band, comprised of members Pam Delgado, Renee Harcourt, Jeri Jones and Monica Pasqual, will perform July 7 at Schubas, 3159 N. Southport Ave., Chicago. Ellis also is on the bill. The show starts at 8 p.m., and tickets are $15, available at www.schubas.com. I had the chance to talk to Delgado about the band's latest activities. Q - I see that in April the band played two nights at the Great American Music Hall in San Francisco. Of course, that venue has a lot of history. Sonny Rollins recorded there, along with the Grateful Dead. What was it like just being at such an iconic place? Oh, my gosh. I can safely say that for all of us, it was probably the highlight gig of our career. It is just amazing. There are ornate, wood carvings all over the place, and big chandeliers, and a lot of satin curtains. It's just an amazing place anyway, and then add onto to it all the musical history. It had the most amazing energy I think we had ever felt. Q - And did you play a lot off the new album? We did. We did the whole album, and some favorites from previous recordings. Hopefully we can get back there again. Q - This new album, "Speeding Ticket and a Valentine," is your sixth album. What kind of goals did you have for the album? Did you just kind of want to build on what you did in the past? Yeah. For every album, we have the same goals, and that is to hopefully a bigger audience. It is definitely getting a lot more airplay than we have had in the past. (The CD was recently #26 on The Americana Music Association charts). We just found out that it's been added to the Starbucks' play list. I just got a message from a friend who said he heard it sitting in a Starbucks in Cleveland. Also, NPR called us, and they want to use the song, "Living Without You" as one of their songs of the day. These are all things that haven't happened before with a record. That's the goal, to reach bigger audiences and try to grow. Q - I understand that you guys started singing in 2000, but it was just for fun, you didn't really think anything would come of it. Yeah, that wasn't in any of our minds at the time. We had been playing music in different bands. We'd just been at it for years. Monica, the keyboard player, was releasing a solo album, and she called us up and wanted us to sing backup harmonies. We did that show, and we had so much fun, that we decided to do another one. Before we knew it, people were calling us for gigs. But we just continued to have the same philosophy, to just have fun with it. Q - Is it just that the chemistry is right? I think so. I think for some odd reason, we were in the right place together. We were all sort of on the same page of what we wanted to do. We all knew each other through different projects. We have this sort of mutual love and respect for each other's musicality, and then we got to spend more time with each other and became friends. It became sort of this circle of friends. There's just this chemistry that happens where you are just there and having fun and it's a happy, joyous kind of moment. And that's kind of it. That's kind of what we are based on. We really like to support each other's music. There's no front person in the band, which is really kind of unique. You don't see much of that any more. There's not a lot of ego about who's singing or who's doing this or that. We just really truly enjoy playing together. Q - Have you played in other bands with guys? How is it different playing in a band with all women? I've been in both scenarios, all girls and all guys, and being the only girl, and all that. I guess the main difference is that although we have some really strong opinions about the way things should be, we don't feel that any one of us has to have power. And I'm not saying that is a male trait. In the guy bands I've been in, there's been a leader, a very clear leader, and it's always been a guy. He sort of takes the helm of things. But in our band, things are a little more democratic. I have to say, things take longer. It works for us. I'm not saying it works for every band. Q - Last year, you guys played in Germany. How was that? It was incredible. They have a really big appreciation for American music over there, especially American roots music. Q - Do you think that's why audiences over there like your music, because like you said, it's roots music, it's honest music. Yeah, I do. Over there, I think that they just appreciate American music any way, not matter what it is, rock or heavy metal. They just love American music. They are really interested in the fact that we are an all girl band. That was kind of a big deal. And then again, like you said, the authenticity of the music. We're pretty real on stage, with each other and the audience. It's an intimate experience. We kind of talk about what is going on with us and each other. I think that's appealing. Q - The group's music probably been labeled in many different ways - Americana, roots, alternative country, folk. How would you describe your music? Well, there's something about all of those that fit us. We are all influenced by different people and different styles. We have a little bit of R&B, there's a little bit of soul, there's a little bit of blue-eyed soul, there's some classical, there's some world. Honestly, it sort of can't be classified, which has been working for us and against us. But for this particular album, it falls a little more in the folk-rock category, folk-rock and a little Americana. Maybe we're a little more rootsy. I don't know. It's hard to say. Believe me, we've had several meetings about this. Q - Personally, I think it is good that you can't be pigeonholed. What do you think is the direction of the music business these days? The music industry is so different now. Everything is so readily available. You can find anything you want. It's up for grabs, really, where it's going to go. And I like that a lot. It's really good for us. At the age of 16, Chicago singer-songwriter Nina Ferraro already has a music resume that many seasoned musicians would love to have. Her first original single, "Let It Go," features drummer Kenny Aronoff, who has played with the likes of John Fogerty and Eric Clapton, and was co-produced by Tommy Byrnes, Billy Joel's longtime music director. 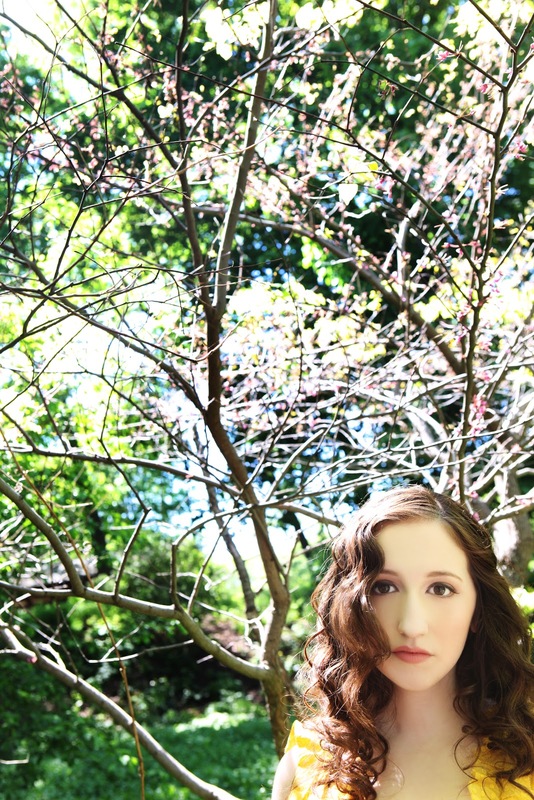 In addition, her five-song EP "The Promise," was produced by Will Golden and Al Sgro, known for their work with Eric Hutchinson, Meiko, Michelle Branch and others. The multi-talented Ferraro www.ninaferraro.com, who plays several instruments, including the piano, guitar, and ukulele, will perform from noon to 1 p.m. Tuesday, June 28, on the Illinois Lottery Taste Stage at the Taste of Chicago in Grant Park. Admission is free. A full schedule can be found at www.explorechicago.org. 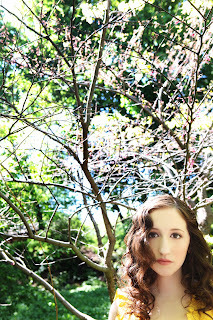 I had the chance to talk to Ferraro about her upcoming show and how she got her musical start. Q - Is this the first time you've played at Taste? No, last year I played there, as well as a couple of years ago. It's a great festival, and it's just a great place to go hear music as well. You get food and you get music. It's a great combination for me. Q - I see that you have already worked with some heavy hitters. How did you get connected to these people? Basically, I sent my music around and I was really looking for the right people to work with. I really wanted people who understood where I was trying to go with the recording process. One thing led to another, and I ended up working with them. It was a great experience, and turned out really well, I think. Q - And I suppose those experiences are part of the learning process as well. What did you learn meeting with those people? Did they give you a lot of good ideas? It was definitely a learning experience. The people that I worked with, they've been doing it so long, and they've seen all kinds of different things. They get it because they're around it all the time. I definitely learned a lot about the way things go. I write the music and play it, but everything else that surrounds it I'm kind of disconnected from. I learned so much that I probably wouldn't have learned otherwise. It was a lot of fun. Q - As far as what you wanted to do with the EP, did you have any specific goals? I wanted to have that control where I could come in and say 'this is the way I had it in my head' and try to recreate that in the studio. It wasn't like I just gave them the songs and said, 'There you are. You can mess with them however you want.' That was definitely not how it went. Q - So they didn't take over the process. Q - "The Promise" seems to be a pretty eclectic mix of songs. Did you want the EP to show off your different sides? Yeah. Basically, I had a lot of stuff to sort through to decide what should be on the EP. Obviously, when I play live, like when I'm playing at Taste of Chicago, I'm playing a lot of songs that aren't on the EP, but I'm also playing the EP songs. It's so hard to edit through your own songs and kind of figure out which ones should be out there at the moment, and which ones to keep for live shows. I definitely had a little bit of help from the producers to decide what should go on the EP. All five tracks were written at very different times in my life. They're very different. You're absolutely right. Q - I understand that initially you weren't thinking about becoming a musician, but then as time went on, it was really something that you were committed to do. That's right. I started playing piano when I was 4 years old, just because my brother played piano, and I just wanted to be like my brother. I begged to start piano lessons, and I took piano for five years. I liked piano, but I was just like any other kid. I didn't like to practice. I started playing guitar, and it was a completely different experience for me. It was awesome. I really loved it. And that was around the time when I started singing as I played guitar. I would come up with little 30 second songs and different things like that. As time went on, I just kept playing music and I kept doing it more often. I started playing at local coffeehouses, and it went from there. Q - You learned how to play guitar at Old Town School of Folk Music. Was that a good place to learn to play guitar? Yeah, absolutely. At Old Town, there were a lot of different people who were all really passionate about the same thing, which is music, primarily folk music. There are great teachers at Old Town. It's like a community, and it was a great place to learn. Q - When you were 11, you performed KT Tunstall's "Other Side Of the World" at your school talent show and received a standing ovation. Did you expect that? You know, I didn't. I was so nervous. But it felt really good. It was like, 'Wow, I actually enjoyed that.' I think that was probably the turning point when I decided I wanted more of that. Q - Things seem to be moving pretty fast for you. Is it overwhelming or are you just taking it in stride? It's not overwhelming I think because I have kind of taken all the control. It was never something that my parents wanted and I never wanted to prove anything to anyone. I think that because I have all that control and it has been my own doing, that kind of takes away anything that would be overwhelming. There's nobody pushing me to do anything. There's no stage parents or crazy manager that wants me to do 10 concerts a week, or something like that. It's all basically my doing. It's just really fun. I'm having a really good time. Q - How have your fellow classmates reacted to what you are doing? My friends are really supportive. They come to my shows and they like my music and think it's fun. I don't really know what anyone else thinks about it. Q - So are you trying to play a lot of shows this summer before you have to go back to school? Probably. I think the Taste show will be pretty awesome, to see everybody out there. That's always a really, really fun one to play. Q - Are there venues in the area where you like to play? You know, I just played at the Beat Kitchen. It was amazing, and it was a really good show. I'm definitely going to play there again. I've also played at the Abbey Pub. That show was also really fun, and also at Uncommon Ground. Those three venues I definitely frequent. Maybe somebody I will perform at Subterranean, which is a great venue too. I like what I'm doing right now. It's been really fun. I definitely want to keep going on this route. Hopefully, I can go on tour sometime in the future, and play even bigger gigs. I also am going out to L.A. sometime soon to record a full-length album. Q - What should people expect from the full-length album? It might be more in the alternative route. Everything I write is a little bit different from the last thing that I wrote. People should expect lots of fun surprises. Q - Do you plan to go to college? Yeah, definitely. I think it's possible to go to college and get an education, and simultaneously tour and do everything you want with music. I've seen it done before, and seen it done successfully. You might see singer-songwriter Michelle Malone spending as much time listening to other bands at next week's American Music Festival as she is on stage. 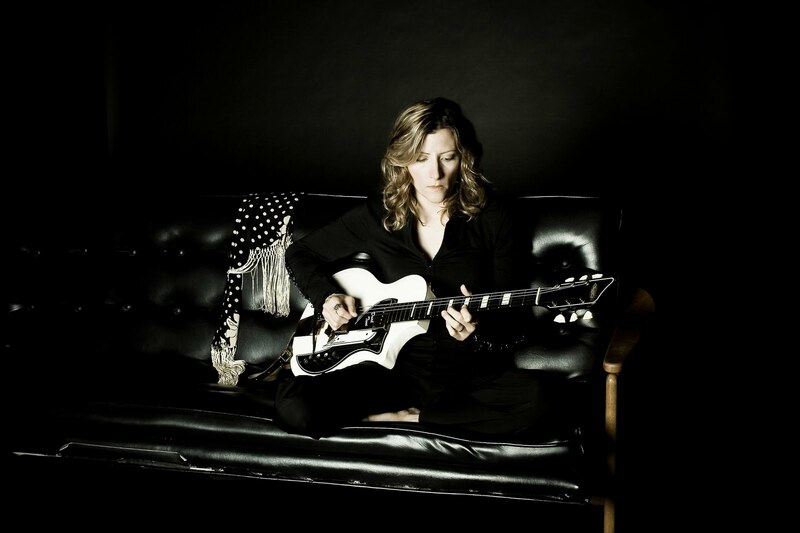 The Georgia-based musician, www.michellemalone.com, will perform July 1 at the 31st annual American Music Festival at FitzGerald's, 6615 Roosevelt Road, Berwyn. Malone, along with Preservation Hall Jazz Band, Marcia Ball, Junior Brown, Joe Pug, The Iguanas and Ronnie Baker Brooks are among a long list of acts set to play at the festival, which will run July 1 to 3. Tickets are $30 a day, and more information is at www.fitzgeraldsnightclub.com. Malone's rootsy songs have received critical acclaim and have been featured in several TV shows and movies over the years, including an upcoming episode of "True Blood." One of her songs, "Don't Want To Know," was recorded by the Indigo Girls, earning her gold and platinum records. I had the chance to talk to Malone about her upcoming performance at FitzGerald's and why she makes music. Q - So you've played at FitzGerald's before? We're excited about coming back. I love playing up there. We love coming to the festival. Owner Bill Fitzgerald has had us I guess three times now, so it will be great. Q - Yeah, it looks like a good bill. Marcia Ball is returning, and she's a favorite at the festival. And the Preservation Hall Jazz Band. I'm really excited about them. I had been playing in Chicago for a long time, but I never really felt I found a home until I started playing at FitzGerald's. Q - What do you like about FitzGerald's? It just has this great vibe, and the people there love music, and they come with an open mind. They will come hear bands they've never heard of before because Bill books them, and they trust Bill, because he has great taste in music and he loves all kinds of stuff. We played there a few months back, and we were playing on one side of the venue, and the other side of the venue had a Beatles tribute band. Q - After you perform your set, do you like to sit back and listen to other bands? Sure, yeah. That's what I really love the most about playing festivals. You get to hear a lot of other great music, and meet a lot of other great musicians. Q - I see you have some other stuff going on. Your song, "Restraining Order Blues," will be part of a "True Blood" episode next month. I've noticed that you've had several of your songs featured in TV shows and movies over the years. Are you have a fan of "True Blood?" Well, I've never seen it. I don't have cable. I don't watch a lot of TV. I'm excited to see the scene they use, because I can't figure out how a restraining order can be put on a vampire. Maybe someone will send me a copy, or I'll find it on YouTube or something. Q - Is that song based on an actual experience? More or less. It's a fun story that I made up in my head. As a writer, you have to make what you're writing worth listening to. You have to dress it up, and make it fun and presentable to the world. Q - Why do you think your songs fit so well in TV shows and movies? Oh, I don't know. I think it's timing and luck. It's just like getting a song on the radio, or selling a million records. I think so much of it is timing and pure luck, frankly. There are so many great artists out there you will never even hear of. Q - Does it ever surprise you how your songs are used in these television shows or movies? Honestly, I've not seen any of them. I just make music and sing, and these songs take on a life of their own, and they travel, and go here and there. They live with this person and that person. You know how personal music is to anyone. They just go where they go and do what they do. I think it's great. It's like kids, they grow up and move out. Q - Hopefully, more people are getting introduced to your music through avenues like that. Absolutely. There's all kinds of different ways to get introduced to new music. Q - Speaking about new music, it's been a while since your last album came out. Are you going to be playing any new songs for people at the American Music Festival? Yeah, probably. But I think most of my music will be new to people to begin with. I'm writing for the new record. I haven't recorded anything yet, so by and large, it's not ready for public consumption, but I might have something together by then. I have no idea. But at a show, we play a lot of times generally from the last three records, more Americana, blues-based, slide guitar type of stuff. Since I started playing slide, it's kind of altered my sound. It is a little more bluesy, and definitely rootsy. So they can expect that. Q - Speaking of that, I'm sure that a lot of people over the years have described your music in a lot of different ways. How would you describe your music? Well, I've been making music for 25 years and I've put out 10 records. I've grown and changed a lot over 25 years, as everyone does. I don't make the same kind of music I did when I was 20 or 30. I'm going to change and so is my music. I think the last two records had a common thread in that I played slide and they were rootsier, and definitely more organic. People can always expect that from me. I'm very down to earth in general as a human, and very organic to begin with. I don't mince words or do drama. My feet are on the ground, and I like to think the music is a reflection of that. Q - What made you want to play more slide guitar? It was just out of necessity. I was in the studio recording a song, and I felt that the song needed that, and there wasn't anybody there to do that but me at the time. It was at night, and the band had already gone home. So I just pulled the slide out and started fiddling with it. In the studio, you can cut and paste your parts together and make it sound like you know what you are doing. And then I had to go out and play the song every night, so I just kind of learned to play as I went. It changed the way I approached guitar and changed the way I thought about music. It's more fun, it's playful. To me, it's free and reckless. I love it. That's kind of the way I approach the guitar any way. I'm not a really technical player, but I'm very passionate about what I do. Q - You've had a long collaboration with the Indigo Girls. I understand that they actually persuaded you to pursue your musical dreams. We all met in college, and they were already playing. I was writing and playing basically in my bedroom. I kind of needed a little push to get out there and do it. They definitely persuaded me to follow that road. They had me sing at their shows, and we started writing together and collaborating and singing together. That's really how all that started. It was very organic. We were kids, and no one had a record deal or anything like that, so it was really just born out of fun. Q - Are you surprised how their career has gone? No, not at all. I've seen a lot of friends from Atlanta go on and do real well, and I'm always really happy for them. It's great for Atlanta, it's great for them, it's great for the music scene. It's great for the world when there is great music out there that people can relate to and feel good about. Q - What do you think it is about Atlanta that produces such great musicians? I have no idea. It goes back a long way. Georgia has a very rich musical history, Lena Horne, Gladys Knight, Ray Charles, you name it, James Brown, the list just goes on and on. I don't know what it is in that little corner of the world. But it's something, I think. Q - What you were saying before about your music being down to earth and honest. Is that a common thread with other musicians from the South? It could be. I think it is more of a common thing with Georgia, than the South in general. There are other towns that are more music industry oriented, and I think that changes the direction of the music, it puts it in more of a cerebral avenue. We enjoy being with each other and playing music for fun. I believe first and foremost that you do it because you cannot do it, as opposed to saying, "I'm going to do this to get rich and famous, and if I don't, then I'm going to quit." Well, maybe you should quit now. 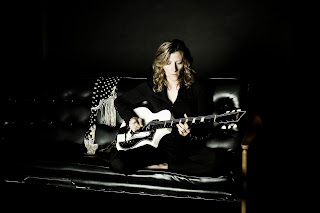 Q - You have gotten a lot of critical acclaim over the years, and the song that you wrote with Amy Ray, "Don't Want To Know," won gold and platinum records when it was recorded by the Indigo Girls. What kind of moment was that, receiving those gold and platinum records for that song? It was really special for about 48 hours, and then you kind of forget about it, and go back to your life. It was so humorous in that it didn't mean a damn thing outside of my little brain. Q - When you sat down to write "Don't Want To Know," did you think it was a strong song? Never. I didn't even think it was that strong of a song. It just happened to be at the right place at the right time. We wrote that song before I even had a record deal or publishing deal. We were really just sitting around a campfire having fun, playing guitar. That's all it was. Q - You make no bones about the fact that you are a lesbian. Do you feel the need to address that in your music? I don't. I don't necessarily identify with groups that would have me as member to begin with, as the saying goes. I don't necessarily consider myself a lesbian, per se. That's changed over the years in my mind. It's what I do with my personal life, and I like to think that as a human being, I can relate to other human beings, regardless of their sexual orientation or if they are a Christian or a Buddhist or a vegetarian. It's just something that adds to me as a human being. I don't just run with Democrats, and I don't just run with vegetarians, and I don't just run with gay people. I'm human and part of the human race, as opposed to a little subset of that. 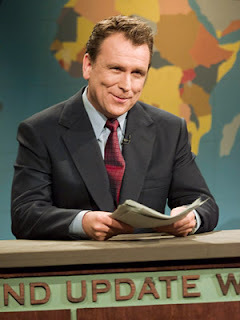 Former "Saturday Night Live" and Comedy Central star Colin Quinn will move his one-man show, "Colin Quinn Long Story Short," to the Broadway Playhouse at Water Tower Place, 175 E. Chestnut St., Chicago, for a three-week engagement from Aug. 24 to Sept. 10. Individual tickets for "Colin Quinn Long Story Short," directed by Jerry Seinfeld, go on sale at 10 a.m. Friday, June 24. The show has earned rave reviews from "The New York Times," "Variety,"" Entertainment Weekly" and "Time" magazine. Tickets will be available at www.BroadwayInChicago.com. There are those musicians that loathe treading the same musical ground over and over again. Chris Mills, who started his career in Chicago and now lives in Brooklyn, is one of those musicians. After gaining prominence as an alternative country musician, he recently collaborated with Alap Momin of the experimental hip-hop duo Dalek for two songs on his new 10-year retrospective album "Heavy Years: 2000-2010." Mills, www.chris-mills.com, will return to Chicago when he performs Friday, June 24, at The Hideout, www.hideoutchicago.com, 1354 W. Wabansie Ave. The show starts at 10 p.m., and tickets are $10, available at www.ticketfly.com. I had the chance to talk to Mills about his current musical projects. Q - As far as coming back to the city, do you view Chicago as a second home? Absolutely, absolutely. I lived in Chicago for a long time. I play there pretty regularly. It's sort of my musical second home. A lot of the guys that are still in my band that I tour with are from Chicago. And I've made the majority of my records in Chicago. That's one of the cities where I do the best as far as crowds. So it's a great town. I always feel at home there, and love going back there. Q - You moved to Brooklyn in 2003. What were your reasons for wanting to move there? Oh, I just always wanted to live in New York. I wanted to try it out. There was a girl out here that I was seeing, and that sort of gave me an excuse. But I probably never felt at home here until recently, probably until I got married, which was only a year or two ago. So I kept sort of going back and forth between New York and Chicago, for music and for work and stuff like that. But I like New York now. Q - So you feel part of the scene now? I feel part of a scene. The thing about New York is that it's so spread out. There are so many people doing so many different things, that it's hard to feel that you are part of one unified thing. There are a lot of people that I play with in New York that I really love hanging out with and love playing with. Whether or not that constitutes a scene, I have no idea. Q - Of course, you have this new album out. Do you view this as a greatest hits album? I think it's more of an anthology. It would be silly to assume that I have a hit. I have songs that people like. Some people connect with them, in a big way, I guess. It's more of an overview of the stuff I've been doing for the last 10 years, with a couple new things on it. I feel like it is more an anthology or retrospective, really, something that gives people who maybe haven't heard of me an opportunity to discover something. Q - Was it hard choosing what songs should go on the album? I wouldn't say it was hard. It was tricky. Putting together any album is kind of like a balancing act. You usually only have 10 or 12 songs to choose from, and here I had 70 or 80 things recorded that have been released. So I kind of wanted to put together a combination of songs that I knew people would really like, that are popular in the live shows, and then songs that I liked that maybe haven't gotten as much attention or that I feel are really important in how I developed or how my songwriting evolved. Q - Speaking of that, does a new song like "All Our Days And Nights" show where you are at these days musically, as opposed to some of the other songs on the album? I don't know if it's a signpost as much as it's a continuation of things. It's something that I put together basically because I wanted to work with Alap. We had been talking about working together, and we kind of just had the opportunity. It's just a sort of another wrinkle in the stuff that I've been doing for a while. I tend to like the newer stuff more. It's fun because it's new. But I don't know if it's a departure or not. Q - One of your early influences was Uncle Tupelo, an alternative country band from Illinois. I just find it interesting that your music these days has more pop in it, and it seems like that is the direction Wilco is going. Do you see where you are now just as a natural evolution in your music? I think so. I think as you get older, you get curious about different things, different styles, different avenues to pursue. I think it's been natural because my tastes evolved as I got older and played more music and played with more musicians. I've never been somebody who has been content to do the same thing over and over again. I don't know if that's helped me or hurt me, but for me I want it to be interesting, I want it to be different, at least for me. I just like to keep it interesting for myself and the guys that I play with. I've never been interested in staying in my comfort zone. I feel I get more out of making myself uncomfortable, I guess. Q - Do you think that has limited your success? People are familiar with some of your past songs, perhaps, and then you go in this other direction, and they get turned off. I don't know. It's not something that as a songwriter or as an artist that I want to be that concerned about. I always try to do things that are good and honest. That's my job. And people will either come along with that or they won't. I don't think it would be fair to people who are interested in that part of what I do to just keep handing them the same thing over and over again. Q - I would hope that people's own musical tastes change and mature. And that's not true for everyone, and that's fine, too. People like what I like, and I do what I do. And if I'm lucky, those two will cross somewhere in the middle. I would rather do the things that I do and the things that I enjoy and keep challenging myself rather than just do what is safe. Q - Now you are working on a new album, "The Soldier Is The Castle." What should people expect from that album? It's still in the early stages. I'm hoping that it will turn out to be a little more sonically experimental, maybe a little darker, things like that. I've written a lot of things since the last record, and right now the hard part is really choosing what's going to be the direction. So I'm working out figuring out what the real voice of the record is going to be. Q - Do you think you will go back to your speed metal days? I don't know if I would go back to speed metal right now, but I did enjoy it when I was in high school and playing it. I think that when you are 15 or 16 years old, stuff like that really helps you get things off your chest. It was probably a little more socially acceptable than the confessional singer-songwriter stuff. And I think that's a lot of what I got out of it, was that sort of catharsis, which is basically the same kind of feeling that I was trying to get when I started to do more songwriter style music when I got older. When you're playing really loud and really fast, you can really get a lot off your chest. Q - I understand that the late Sam Cooke is the one guy that you would have loved to sing with. What made him so great in your eyes? He's probably got one of the best, if not the best, voice in popular music. He's a legend. If you listen to any of his singles or anything like, the purity and the emotion is his voice is something that is incredibly hard to find. Q - Are there any dream collaborations or projects that you have? I'm incredibly lucky that I get to play and sing with so many awesome people now, like Sally Timms and the Mekons and Kelly Hogan and Nora O'Connor. I already get to play with some of the best people I could possibly want to play with. So I don't spend a lot of time dreaming of people to work with, because I feel I'm really lucky working with the people I do now. For those Greg Boerner fans who had been wondering when the Naperville musician would release a new album, they have his wife Rebecca to thank now that his fourth CD "Prophetstown" has become a reality. Rebecca gently asked her husband when he was going to book some studio time, and even gave him some "Cow Bucks" for Apocalypse Cow Studios in Montgomery to help him along in the process. 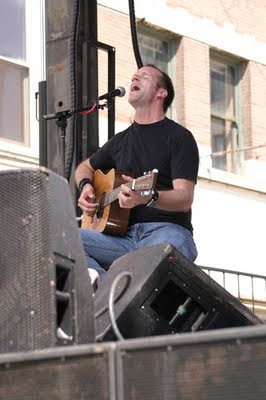 He is one of several local musicians that will perform at the Blues on the Fox festival Friday and Saturday at the North River Street Park on the banks of the Fox River in downtown Aurora. Boerner will perform with another local musician, Noah Gabriel, for a 15 minute set before harmonica master Charlie Musselwhite hits the stage Saturday night. Boerner and Gabriel also recently appeared on the "Made in Aurora" album and CD benefitting the Paul Ruby Foundation, a charity focused on Parkinson’s research. The album was released this past April on Record Store Day. Fifty veteran local singer/songwriters, bands and band members contributed to the 16-song project, which was recorded over a three-day period at Backthird Audio in Aurora. Other artists on the album that will appear at Blues on the Fox include Dave Ramont, Dave Nelson, the band Hoss, Jeremy Keen and Kevin Trudo, with a cameo by Rich Van Ham and Dave Glynn of the Empty Can Band. An entry fee of $5 per day will cover the cost of admission to the festival and a wristband for the consumption of alcohol at the festival. People are welcome to bring lawn chairs to sit in. The festival will kick off with festival favorite Eric Lindell taking the stage at 6:30 p.m. Friday followed by Robert Cray at 8:30 p.m. The lineup on Saturday includes The Hix Brothers Junior All-Stars, featuring local students of the blues, taking the stage at 2 p.m., followed by Chicago-based Billy Branch and the Sons Of Blues at 3 p.m.
For more information about the festival, visit bluesonthefox.com. For more information about Made in Aurora, visit www.MadeinAurora.com. I had the chance to talk to Boerner, an Augusta, Georgia transplant, about the new album. Q - This is your first CD in more than five years. Are you just pacing yourself? I wish it were that simple. It's a couple of things. It's money. It takes money to do a CD, even if you do it kind of sparsely and in kind of a bare bones version. It's still quite expensive. Studio time adds up. You can spend a couple of hours just trying to get the right guitar sound or vocals, not even the performance, just the sound. And also, I've never been as prolific as I've wanted to be. The songs that I have on the CD are the batch that I have written over that amount of time. It's ridiculous to have only written, if you want to think about it, 12 new songs since 2006, but I think I am particular. I really like them, and I think they hold up. Q - But you're in good company. Peter Gabriel doesn't put out a new album every year. Some people just seem to churn them out. I think I am still trying to find my way with my writing. And it takes discipline. You have to sit down and do it. I can't say that I always do that, sit down and try to write something. Usually I only sit down to write something if something has come into my head. Q - "Prophetstown" was recorded locally, at Apocalypse Cow Studios in Montgomery. What do you like about the studio? I've done my last three CDs there. I like the sounds that we get, which is certainly the number one thing. I trust them there. They know me. They know what I am trying to do, so they don't try to influence me in a direction that I'm not interested in. They get me, so that eliminates a lot of discussion about things we don't need to discuss. They understand what I'm trying to do. I just know them. I feel comfortable there. And I think for most of us, being comfortable in the studio is 99 percent of it. If you are comfortable, you can perform, and get your best effort. If you are uncomfortable, it's going to show. Q - The CD is dedicated to your wife, Rebecca. I understand she prodded you a little to get the CD done. I think so. She asked me an innocent question, "So, are you going to book some studio time?" She was interested in me getting in there and recording. For my birthday and for Christmas, she gave me "Cow Bucks," which are Apocalypse Cow gift certificates. I think I needed that prodding. The studio scares me. For me, you are naked in there. Every time I go into the studio, I test myself, to see if I've got the chops, to see if I've got the songs, to see if I've got the performance in me. I'm really my worst critic. To set myself up for that, I almost have to be pushed into it. For me, there is a lot of pressure. You want to do it right. You want to hand somebody a CD you don't want to make any apologies for. This is my fourth one, so people are obviously going to compare it to the others. I didn't want anybody to get this one and say, naw, not as good as your others. And that's always the fear. Q - The title of the CD is "Prophetstown." Have you been to Prophetstown? How were you inspired to write that song? I was on my way to Iowa, and I saw a sign that said Prophetstown, and I thought, "Man, what a great name." I thought, what could I do with that? I did a very similar thing for the third CD. I saw a sign for Marywood, and just all of a sudden had this little melody in my head. Neither one of them are really about the town at all. It's just something that gets you going. As a writer, I look for anything. A sign, a menu, something somebody says. I will take the creative influence from any where I can grab it. Q - It seems like musicians are inspired by anything, just from living. But I think you have to be open to that. Earlier in my writing, I probably wasn't as open to that. I was looking for very specific things to write about. Now, I like the idea that I can see something, hear something, and have one word, Prophetstown, be able to take off on that. Q - Have you tried contacting the town leaders? Maybe they would want to adopt it as their town song. No, but I had a lady from Prophetstown become my friend on Facebook. She would at least like to have the CD in their town hall or museum, or whatever they have. As it turns out, her son had been coming to see me perform at the Potbelly in Warrenville for probably a year. One day, I asked him where he was from, and he said, Prophetstown. And I got this shocked look in my face. The CD was getting ready to come out. So he told his mom, and she is trying to brag me up out there. Q - Wow, it is a small world. The stars must be aligned right or something. I just couldn't believe it. I think it would be fun to go and do a show there. Q - What does the Potbelly restaurant think about the song "Potbelly Blues" off the album? I gave one of the CDs to one of the managers, and he said, "Oh, what's this 'Potbelly Blues?' '' You never know, if someone ended up liking it, it could end up being a little theme song. Q - And it could be played while people are eating their sandwiches. Or something, yeah. I wrote that while playing at Potbelly. I just had this opening number that I kept doing, and it grew and grew. On my first CD, I had a song called "Seven Gables Stomp." There was a place I used to play called the Seven Gables restaurant in South Carolina. Q - Your music can't be pigeonholed into a particular genre. How would you describe your music? I say that it's blues, folk, roots rock 'n' roll, and everything that comes in between. But I always say southern style. I have a southern take on things. It's just from my upbringing. I think I look at things, and write and sing and say things differently from somebody up this way. I'm different from a Minnesota songwriter, or a Wisconsin songwriter, or a Illinois songwriter. Boerner will perform at a CD release party for "Prophetstown" from 3 to 5 p.m. June 26 at Kiss The Sky, 301 W. State St., Geneva. For a full schedule of his upcoming shows, go to www.gregboerner.com.